Todd Snyder is bringing back Timex’s sold-out Marlin in an exclusive new palette. The Marlin Blackout is a followup from Timex’s classic midcentury style of the same name. 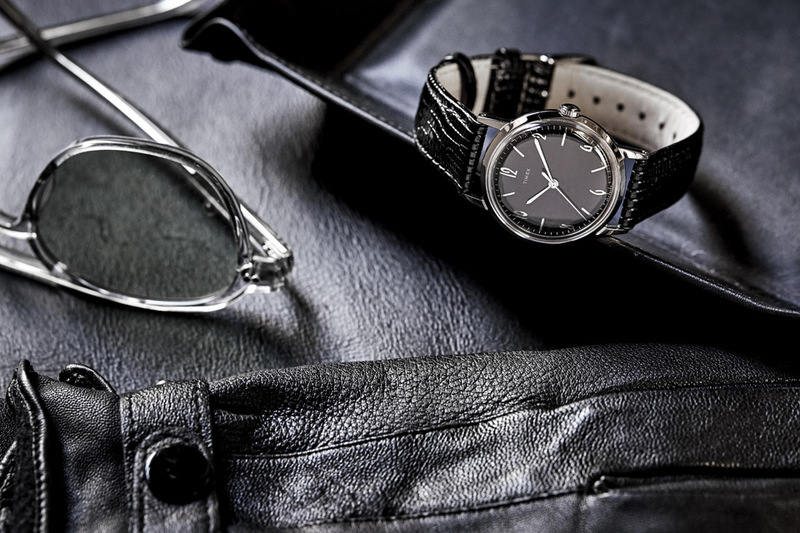 It pays tribute to hand-wound watches, and features a sleek black face and a crocodile embossed genuine leather strap. The previous white faced Marlin sold out quickly and it had less of a rarity to it. The Marlin Blackout will be even more limited, making it vital for any true watch collector to get ready for when it becomes available. The Marlin Blackout will be available beginning on July 2, 2018, and will be sold exclusively through ToddSnyder.com and at the Todd Snyder flagship store on New York’s Madison Square Park later this year.